Older members of Ambedkar's party are wary of the new faces being brought in, and believe the VBA should have contested in a few seats rather than all of Maharashtra. Mumbai: The attack on Bahujan visitors at the Bhima Koregaon war memorial in Pune on January 1, 2018 has brought about a paradigm shift in the narrative around caste in Maharashtra politics. While several Dalits were at the receiving end of the caste violence unleashed on them by Hindutva forces, the assertion which followed projected them as an emerging force. And soon to capitalise on this assertion was Prakash Ambedkar, grandson of Dr B.R. Ambedkar and leader of the Bharip Bahujan Mahasangh. “This opportunity,” as Prakash Ambedkar calls it, emerged out of the adversity faced by the most oppressed communities and hence comes with an even bigger responsibility. Since then, Ambedkar has been seen working towards bringing in a visible change in his three-decade-long political image. His party has now been rechristened from the Bharip Bahujan Mahasangh to the Vanchit Bahujan Aghadi (VBA), and he has forged an alliance with parliamentarian Asaduddin Owaisi’s All India Majlis-e-Ittehadul Muslimeen (AIMIM), bringing the Bahujan and Muslim communities together. The earlier focus of Bharip on the Bahujan class or the non-Savarna majority has now sharpened with the addition of the term “vanchit” or the deprived class among the non-Savarnas. In Maharashtra, political power has only ever been exchanged among 12 families, Ambedkar points out. “Since its inception, Maharashtra’s power has been in the hands of Pawars, Thackerays, Nilangekars and Patils. These families have ensured that power stays in their hands and have never democratised representation,” he adds. VBA, he says, will be different – it is not just a political front but “also a social engineering idea that believes in providing representation to every community,” Ambedkar tells The Wire. Among the 48 candidates nominated by the party, most are from the Mali, Dhangar, Teli, Kaikadi and other largely politically unrepresented communities. Only a handful are from the Maratha community. Established political parties, be it the Congress, Nationalist Congress Party, Bharatiya Janata Party or Shiv Sena, have traditionally restricted power in the hands of the numerically and politically dominant Marathas or other Savarna castes. Unlike them, the VBA has made attempts to identify each smaller caste and community groups which has fallen off the political grid and has not had the opportunity to participate in the decision-making process. One of the key spokespersons for the VBA, Disha Pinky Shaikh, belongs to a Hijra community (her preferred identity) and was born to a Muslim denotified tribe. Similarly, other spokespeople and district heads too are from various unrepresented communities in the state, mostly Dalit or from nomadic and denotified tribes. To fight the BJP-Shiv Sena force in the state, VBA early on announced its willingness to forge an alliance with the Congress. But this came with several ifs and buts. To begin with, the VBA did not want to enter into any seat-sharing deal with the Congress if the NCP remained in the equation. Ambedkar has accused NCP boss Sharad Pawar of playing “non-secular politics”. Ambedkar later relented to the NCP’s presence but presented a new condition, on bringing the Rashtriya Swayamsevak Sangh (RSS) under the constitutional framework. The alliance never worked out and one of VBA’s most senior faces, Justice (retired) B.G. Kolse-Patil, left the party. His candidature from Aurangabad has now been handed over to AIMIM’s sitting MLA, Imtiyaz Jaleel. Ambedkar has accused the Congress of taking a soft Hindutva line and lacking the courage to take Hindutva forces head on. “We have not made an impossible demand. If one has to take on the BJP, it is essential that we have a clear stand on the issue of Hindutva. RSS is perhaps the only organisation which has no accountability and has been the mastermind behind peddling hyper-Hindutva sentiments,” Ambedkar explains. The Congress blames Ambedkar for not being serious about the alliance. “He was never interested in forming an alliance. Instead, he focused on non-issues and kept the conversation hanging till the last moment,” said a senior Congress leader who had met Ambedkar several times in past month. Ambedkar’s former party, which did not win any seats in 2014 and had an overall vote share of 6%, asked for 12 seats this time, a demand that the Congress-NCP alliance found untenable. Within the state Congress, there is a conviction that Ambedkar has been playing the role of BJP’s “B team” by putting up candidates to split votes in key constituencies, which he dismisses as “arrogance”. Ambedkar’s ambitious plans to bring together marginalised communities have also created discontent within his own ranks. His early campaigning across the state had galvanised the troops, but after the VBA was formed and new faces were eventually introduced into the equation, several older party members felt sidelined. Several members, especially in western Maharashtra and Marathwada, spoke to The Wire of their skepticism about the AIMIM and other organisations that have come under the umbrella VBA front. “Owaisi’s party has not focused on the issues of caste ever before,” said one Bharip activist, who has now decided to stay away from any political campaigns in his hometown, Aurangabad. Several party activists that The Wire spoke to shared their experiences during the seat-allocation process. Many old associates had hoped to bag a ticket or an important space in the decision-making process in the party but found Ambedkar unapproachable. “Balasaheb (as Ambedkar is popularly known) is a charismatic leader. Barring a few others, most are new names. They aren’t known beyond the area where they work. VBA should have rather focused on its core constituencies where they are sure to make some impact, rather than spread its resources so thin across the state,” said a senior leader associated with Ambedkar who has raised his concerns about contesting all 48 seats in the state. Others raised concern over the close proximity between Ambedkar and Left-leaning cultural activists in Maharashtra like the Kabir Kala Manch (KKM), who have for long been under police scrutiny. Since the agitation that followed after the Bhima Koregaon violence last year, Ambedkar has publicly supported the group and has accused the state of unfairly targeting the artists. Since Ambedkarites (those following Dr B.R. Ambedkar’s philosophy) have been critical of Left politics in India, Prakash Ambedkar’s relationship with the KKM has not been received well by many. Nor has Ambedkar reached out to other Bahujan groups. 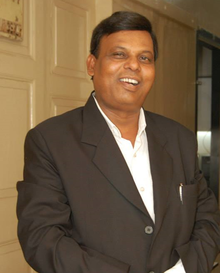 Dr Suresh Mane, founder of Bahujan Republican Socialist Party (BRSP) and former national general secretary of the Bahujan Samaj Party (BSP), had met Ambedkar several times in February hoping to work out an equation, most importantly in Vidarbha where both Mane and Ambedkar have a significant presence, and also where the Buddhist population is the largest. But Mane says Ambedkar rejected the offer. “He looks at other Bahujan leaders as a threat. He doesn’t want any other senior leader to emerge strong in the state,” he said. Ambedkar denies the allegation and claims he is not willing to have a dialogue with any political leaders who have only stayed as “caste leaders” and have not been able to break out of their immediate caste identity, an assessment that flies in the face of Mane’s past work of unifying Bahujan caste groups in the state and in Telangana. 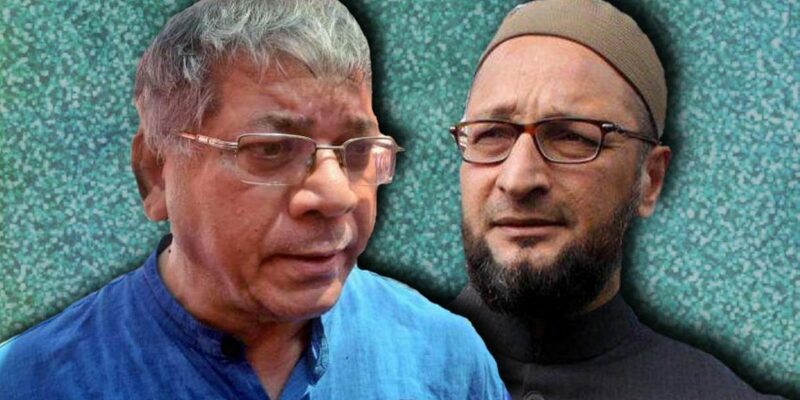 Meanwhile, Owaisi’s announcement that his party will not field any candidates and the decision will be entirely Ambedkar’s had generated disappointment among two of AIMIM’s sitting MLAs and their supporters. Fundamentally, there is a mismatch among the two organisations, and their constituencies and appeal. The AIMIM, through its political stint, has shied away from engaging with caste. Barring a few recent instances, where Owaisi spoke up about caste-based discrimination and countered the BJP government’s reservation policies, the party leaders have not shown any serious engagement with the caste reality among Muslims. Umesh Bagade, dean of the history department at Dr. Babasaheb Ambedkar Marathwada University, says although the current alliance could well be a “masterstroke”, AIMIM’s politics have been worrisome. “AIMIM has looked at Muslims only as a singular political class. Their politics have worked towards building a narrative of the community as a homogenous category and in the process failed to address the caste/class divide among the community,” Bagade points out. Ambedkar has big ambitions and hopes from this election. Many supporters and analysts have praised the alliance as a big step in uniting different oppressed communities. But questions remain, both about the partnership and its potential electoral impact, and about Ambedkar’s handling of the situation.